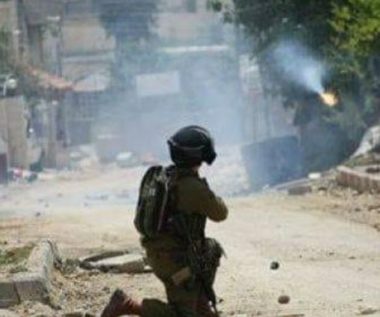 Medical sources have reported, on Friday evening, that many Palestinians suffered the severe effects of teargas inhalation, in the al-‘Arroub refugee camp, south of Hebron, in the southern part of the occupied West Bank. The soldiers surrounded the refugee camp, before invading it, and fired dozens of gas bombs and concussion grenades at scores of Palestinians who protested the invasion and threw stones at the soldiers. They said that some of the wounded Palestinians were in their homes when the soldiers fired a barrage of gas bombs at random, causing many to require treatment for the severe effects of teargas inhalation. All of the wounded Palestinians were treated by Red Crescent medics, without the need for hospitalization or further treatment.